Miss Maple is an outstanding mare, who has proofed herself as a broodmare as well as in the showring. 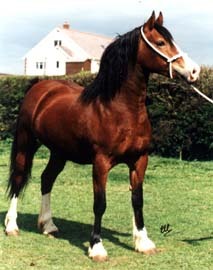 She has been continuously successful since a foal and has won several champions and supreme champions, including Lampeter Stallion Show. 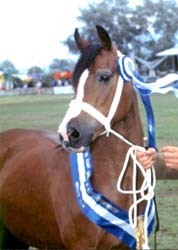 In 2005 she qualified for the Horse of the Year Show, where she came second in her class. 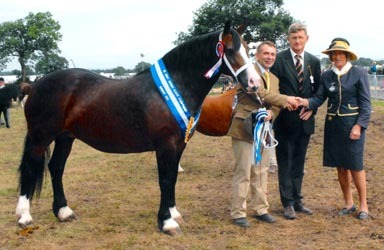 In 2007 Miss Maple was 1st and Champion at Devon County Show, Three Counties and Cheshire, where she also qualified for the Cuddy Supreme Championship. Miss Maple started her showing appearance in 2008 by taking the Championship at Cheshire County again. This year she has a bay colt by Nebo Sion. Julie Ann has only been shown four times as a yearling. 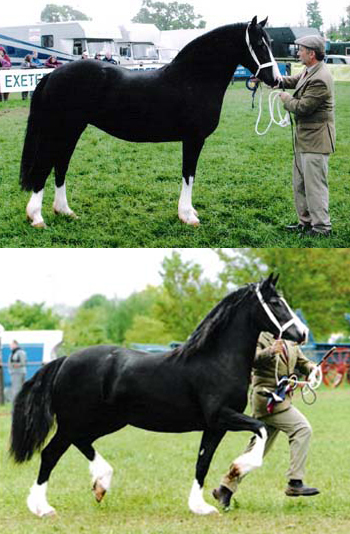 She was Supreme Welsh Champion at Devon County, Supreme Filly at Glanusk and first at the Three Counties, Malvern. Julie finished that showing season off by winning a very strong class at the Royal Welsh Centenary Show. In 2006 she won her class at Lampeter Stallion Show, was Youngstock Champion at Glanusk and Champion at the Royal Bath and West. She also came first at Shropshire & West Midlands. She was also supreme youngstock champion at Northleach and first at the NPS as a three year old. She had a superb season in her first year under saddle, being highly placed every time shown and qualified for the BSPS championship show. Julie was also champion at the Brynseion Final at the Welsh National show. She was excellently produced by the Marshalsay family and ridden by Eleri Marshalsay. In 2010 and 2011 Julie countinued her successful ridden career. During this time she was ridden by Catrin Reed from the Tyngwndwn Stud. Her winnings are to numerous to mention, but to name just a few. 1st and Reserve Champion at the Royal Welsh. 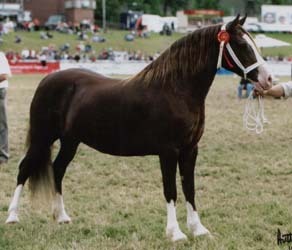 Twice Welsh Ridden Champion at the Ceredigion Welsh Pony & Cob Association Show. Winner of the Brynseion Championship at the Welsh National. Qualified for HOYS, but on this occasion ridden by Jemma James as Catrin was busy with her GSCE exams. Catrin rode her at HOYS. In 2012 Catrins younger sister Lowri Reed took over the ride and again has brought no end of success. 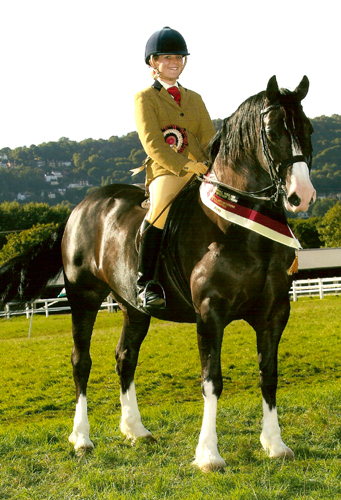 To name a few: Supreme Welsh Ridden Champion at Lampeter Stallion Show, qualified for HOYS at the Three Counties, Malvern, with both judges awarding a very high mark. 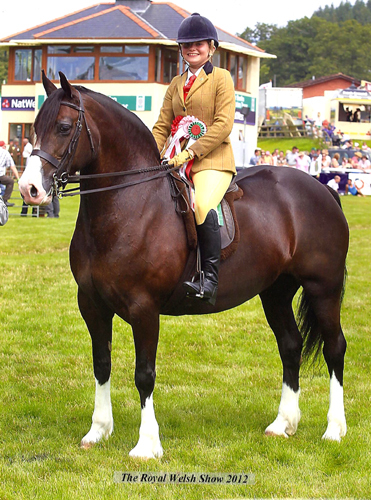 Champion Ridden Welsh Cob at the Royal Welsh, Champion Welsh Cob at the Brynseion Final for the 3rd time in four years. Julie was also Welsh Ridden Champion at Lampeter Summer Show and went on to be supreme of the show. 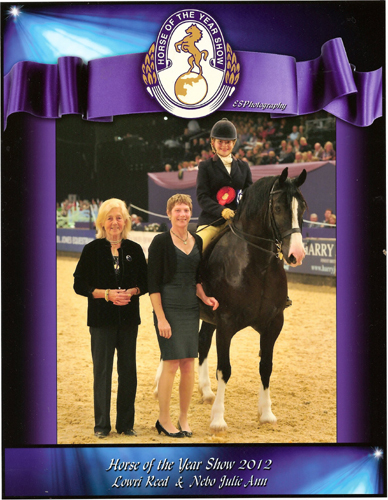 Both Julie and Lowri looked and performed amazing at HOYS. 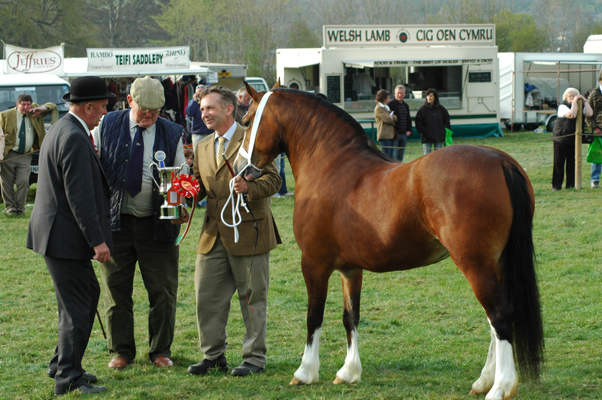 No wonder both judges had no hesitation in awarding her the Baileys and NPS Ridden Welsh Cob Champion. 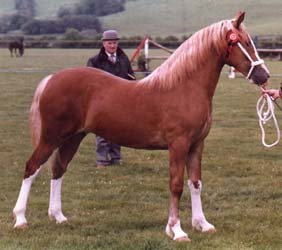 Later the pair stood reserve to Stirlingdene the eventual supreme pony of the show. Good Luck Julie and Lowri at Olympia. Rachel is one of our most successful showmares and has also bred some outstanding foals. She has won numerous shows, including winning twice at Lampeter Stallion and Youngstock Show, taking the Champion as a three-year-old. That year she was also Champion at Glanusk show and Youngstock Champion at the International Show in Holland. 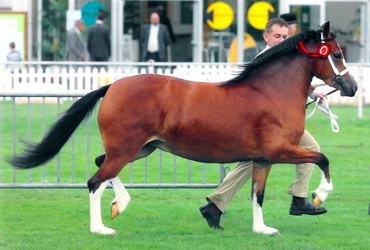 She also won at the Royal Welsh three times and became Supreme Champion at the International Show in Germany in 2003. 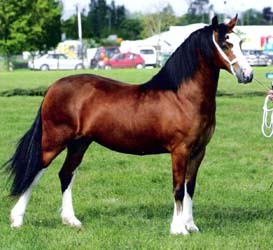 In 2004 she was Champion at the Three Counties Show and qualified for the Cuddy Supreme at the Horse of the Year Show. In 2006 she was supreme champion of the show at Northleach and champion at the NPS Centenary Show, where she qualified for the the Cuddy Supreme Championship. This outstanding bay filly has already been Champion Filly at Glanusk, Champion at Devon County, Youngstock champion at Cheshire County, Supreme of the Show at Severn Valley and she was 1st at the Royal Windsor. She also won at the NPS. 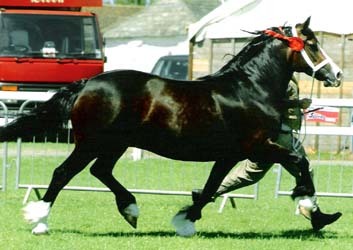 In 2007 Rebecca was supreme filly at Lampeter Stallion Show, 1st at Devon and Shropshire and West Midlands and Champion at Anglesey County Show. Nebo Rebecca receiving the supreme filly at Lampeter Stallion Show. 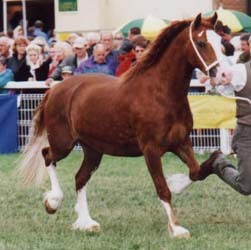 In 2007 Rosemary was Supreme Champion of the Show at Shropshire and West Midlands.